The lilac bush is in full bloom. On the to do list is to take a picture of her with Graham and Margaret in front of the lilac bush! GORGEOUS!! I can smell them!! We're still waiting for our lilacs here in Canada. 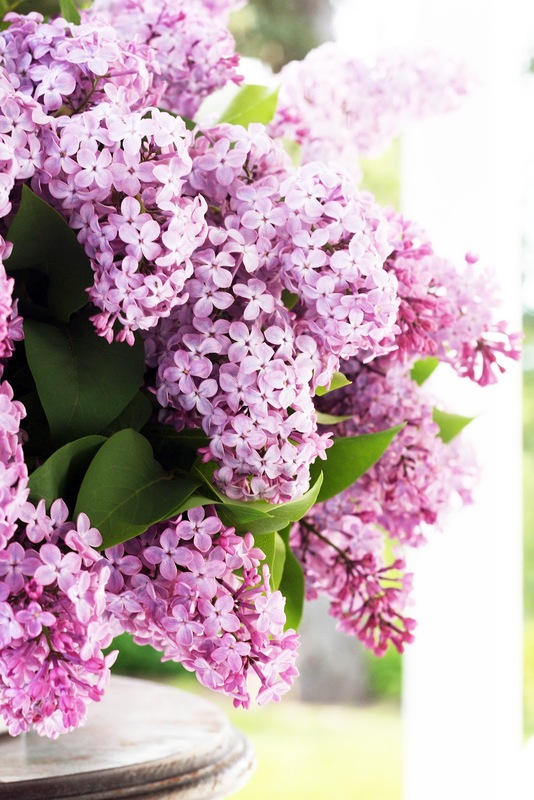 I remember having a driving holiday a few years ago from New York all the way up to the top of Maine the car was filled with the scent of lilac along the roads everywhere, it was sheer heaven. I always look forward to lilac time in my garden too, burning the ends if the stems to make it last longer. I grew up on a farmstead that had two very long rows of lilacs. We had a high jump near the lilacs. Track season in school (spring) coincided with blooming of lilacs. I have such great memories. I wonder if the person planting those lilacs had any idea what great joy and memories they would provide me over the years of my life. That was over 40 years ago that I lived on that homestead. The lilacs were planted most likely 15 plus years before that. You never know who will be enjoying the fruits of your current garden labor. Have fun with your mom! I have just stumbled upon your blog. Your photography is stunning and so is your house! I noticed that you do not have a post about your photography. Photography is a hobby of mine and would love it if you shared what camera and lens you use and if you do any post editing. I am always on the lookout for tips to improve my own photos. Looking forward to seeing more gorgeous from you. The lilacs are beautiful once again this year. I bet it is fun seeing the kids able to explore things more this spring. Enjoy your time with you mom. Amazing! I've seen several posts recently on lilacs....they are just so beautiful. I live in Florida and have never even seen a lilac bush, but it's on my bucket list! For some funny reason our Lilacs are taking so long to flower... But better to be patient. You have a very pretty blog here. I got hooked! Enjoy your weekend visit with your Mom! Absolutely beautiful. A great way to start the day. OOoh I can almost smell them! I miss my lilacs in Denver, none here in Houston. Happy weekend and enjoy your time with mom. I think your lilacs get prettier every year. :-) This year I'm determined to plant some. Have a wonderful time with your mom. I am fortunate enough to now have my mom close by, but it used to be that we would pack our visits together as full as could be with projects. Such fun memories! Beautiful! I love lilacs although I rarely see them here in Southern California. Love your lilacs . . . living vicariously . . . the lilacs here most have been startled by our very different weather . . . no one has any lilacs, or very few! So thank you for this yummy display . . . I miss lilacs, we had them in Wisconsin. But here in Virginia I have yet to see any. The smell is beautiful. Your lilacs are just beautiful and I can't wait to see the picture. I adore lilac, my tree in the garden it just beginning to flower. Your pictures are lovely by the way! beautiful trina - lilacs say childhood to me - we had them everywhere and at my grandmother's too...i love when they come. we are so far behind here in zone 3 - haha. ours have just started - maybe 4-5 inches each. So, my roses came out and yes, they are fabulous. But some hungry critters keep eating them. Is there anything you would advice? I can smell them from here!! That is what I would call "otherworldy" beautiful....absolutely breathtaking! We have our fair share of deer here as well but I haven't noticed them nibbling on the lilacs. They prefer the roses! Thank you, Trina. I think these are tiny critters that are enjoying by roses--some kind of caterpillar. The deer limit themselves to the trunk of my peach tree. PS The lilacs are gorgeous! I love them. I hope they are getting many butterflies visiting them. Gorgeous!! I planted two lilacs in my yard several months ago but the Florida sun will undoubtedly kill them very soon. I wish we could grow gorgeous flowers down here like y'all can. In fact, I just mentioned that in my blog post from Friday. You make the most beautiful flower arrangements! Maybe you could give a lesson in how you make these arrangements in the different size vases. I know I could benefit from such a lesson. Your blog is my favorite. I love your photos and the subject in your photos. I also appreciate how you share what GREEN things you are doing. UGH! Makes me miss my lilacs! They finished blooming many weeks ago, along with my irises. Our day lily's are now beginning to bloom! Love seeing all your flower photos. I can almost smell the fragrance of your beautiful lilac bush...can't wait to see the pictures!! Amazing, last few are flowering here in London. I have a two branches in the lounge which smell heavenly, I will miss them when they go over. http://thegoodhuman.com/ - good website to peruse when you have five minutes! They are exquisite! Really beautiful! Beautiful lilacs, beautiful photos! 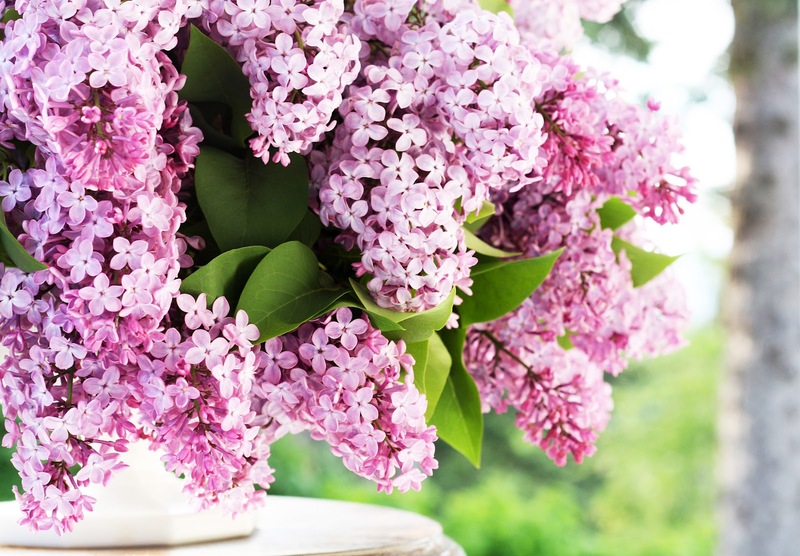 How do you care for your lilacs? We just moved into a new place and have numerous old lilac bushes around the property, but very few blooms. Any tips? Gorgeous! Can you do a tutorial on flower arranging one of these days? I once read that you should remove all of the blossoms once they've passed to ensure ample blossoms the next year. But I can't say that it's made a difference. So now we don't do a thing! your yard must smell DELICIOUS! have a great mem day weekend! wow these lilac are so beautiful! do you grow any herbs in your garden? Oh how I love lilacs. Lillie's nickname is Lillabel (it's what I wanted to name her but couldn't get my husband to agree - haha) which means beautiful lilac. Your photos are always so gorgeous! I'm soooo jealous! 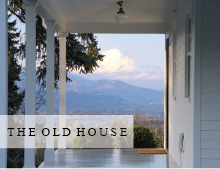 As a young girl I used to live in a Dutch Colonial in Spokane Wa. that had two ancient lilac bushes, one purple the other white. It was the main house of an apple orchard. May was heaven on earth!The lovley pictures bring back many wonderful memories and I can almost smell them. I now live in So. Cal. and can't grow one here. Enjoy, lilac season is too short! Greetings and hugs from Finland! I don't think we have lilacs in Sri Lanka. I've never seen them anyway. Ignore my ignorance and tell me do they grow from seeds? I just found your blog today - amazing but true! I'm sure I've seen photos of your house all over Pinterest but never found my way to your blog, until now. I love your house and you have boosted my desire to finish mine. Thanks so much for all the inspiration I'm finding through your posts. Can you tell me what the original colour of your downstairs bathroom was? I love that blue or green or whatever shade it is. We have lilac bushes too, and I make sure to share with my sisters and friends. They are so beautiful in any container and by themselves, and that smell, mmmmmm. It was Opal Essence by Benjamin Moore! I tried several swatches and Opal Essence seemed like the perfect balance of blue and green. I love Lilac or Paschalies as we call it in Greece.